Follow Guitar International on Facebook For Chances to Win Free Gear, CD's Books, DVD's and More! This amazing concept album and panoramic vision was written, produced, and crafted by the incomparable, Steve Lukather. The five time ®Grammy Award winning singer, songwriter, and guitar titan, acclaimed for his work as a session artist, with Toto, composing hits for the likes of George Benson and The Tubes, and his own sterling solo career, returns with All’s Well That Ends Well, his first solo studio record since 2008’s Ever Changing Times. Lukather bares his soul and emotional heartache, in the cathartic, wrenching, duo, epic pieces, “Don’t Say It’s Over” and “Darkness In My World.” The unrelenting pain and misery of lost love and a broken relationship that is beyond repair, is purged through these multi-layered, lushly arranged pageantries, with beautifully textured guitar voicings, overdubs, and reverb, and huge, detailed, orchestration and production values. “Darkness In My World”, the most luminous, sparkling jewel on this album, is replete with understated guitar colors, orchestrated swells on synths and keys, and a powerful guitar solo, underscored by outstanding percussion, drums, and rhythms that drive the song. 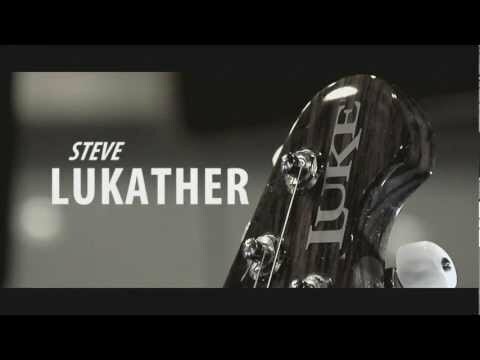 Lukather then turns and glares the spotlight of social commentary on the modern rock guitar infused, visceral, “Brodie’s”, he brings astonishing Hendrix flavored guitar chords to the biting wit of “Flash In The Pan” which riffs on TMZ.com, and he essays ornate, intricate guitar brushstrokes on the beautiful, elegiac and lyrical, “Watching The World”. On Lukather’s past solo record releases, his songwriting has often concentrated more on writing the music, and he then collaborates with lyricists. 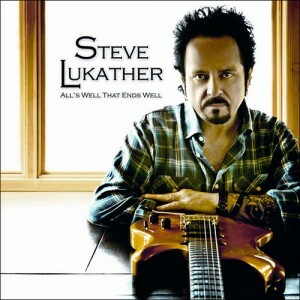 But on All’s Well That Ends Well, Lukather steps up to the artistic plate, to pen most of the album’s song lyrics himself, writing some of the strongest, most provocative and eloquent lyrics of his storied career. Lukather’s warm, fluid vocals are in pristine form, the clearest and most dynamic they’ve been in years. There’s guitars galore all over this big, wonderful record, and plenty of Lukather’s signature, phenomenal, six string solos, to please the fans, but here, Lukather shines in that he creates a dazzling record that is NOT a guitar album. This is an introspective, songwriter’s album…steeped in emotional depth and breadth, rich and vibrant sonic colors, and superb storytelling. Yes: From Steve Howe to Trevor Rabin and back again, Yes is still progressive after all these years. Lee Ritenour "6 String Theory"